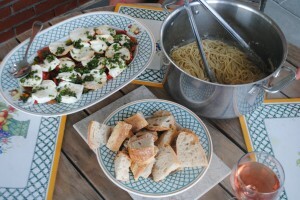 A typical Italian Summer feast: baked bread, olive oil, caprese salad, Cacio E Pepe and Rosé wine. How do you say “yum” in Italian? 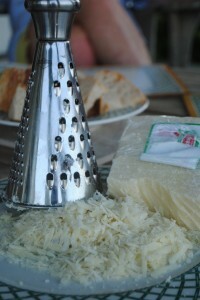 Cacio E Pepe, which literally translates to “cheese and pepper” is a pasta dish ADORNED with just that. Cacio E Pepe celebrates the beauty of starchy pasta water, which, in combination with grated Parmesan cheese, creates a creamy sauce. COPIOUS amounts of freshly ground black pepper are added and voila! 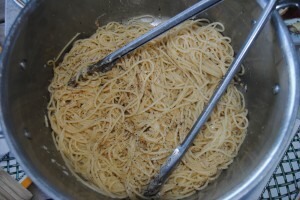 To keep with the RUSTIC edge of this recipe, I like to serve Cacio E Pepe in the pot in which it was cooked immediately after being prepared. 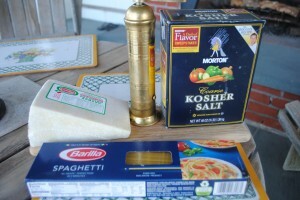 While the pasta is cooking according to package instructions, grate the Parmesan cheese. 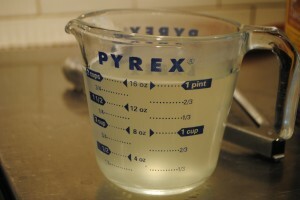 After the pasta is finished cooking, save 1 pint of the water and set it aside. 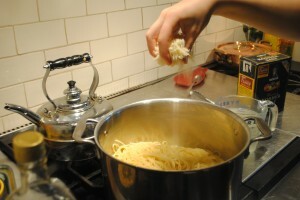 Drain the pasta and place it back into the pot. 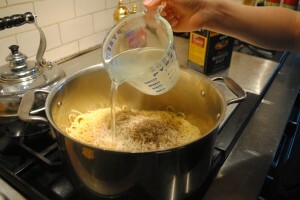 Sprinkle in the Parmesan cheese. Add in the freshly ground black pepper. 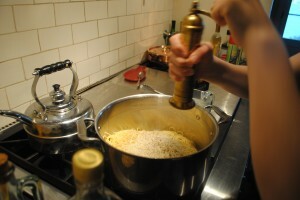 Pour in the pasta water and stir the entire mixture together. 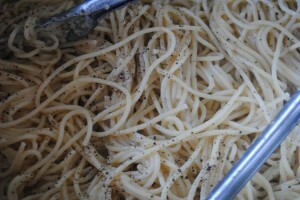 Up close and personal with Cacio E Pepe.